As Money Magazine’s #1 place to live in 2009 and 2011, Louisville is no longer Colorado’s best kept secret. With a thriving art scene and small town feel, Louisville caters to all types of people. Home to some of McAdams Plumbing’s favorite restaurants, including Lulu’s BBQ and The Huckleberry, Louisville is a wonderful place to work and live. 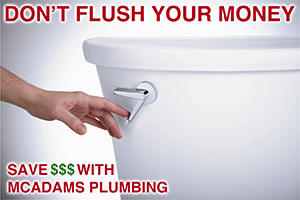 McAdams Plumbing is proud to be your first choice for plumbing repair in Louisville. If your situation does show up on this list give us a call. Just because we didn’t write, doesn’t mean we can’t handle it. Water leaks are any homeowner’s hidden enemy. They can appear right out in the open, or they can stay hidden, making themselves known only when you see damage to your ceilings or walls. 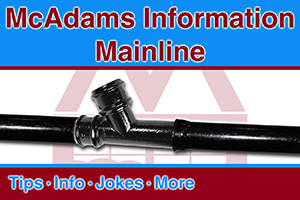 McAdams Plumbing can track any leak down and repair it at the source. We’ll make sure you’re taking care of the first time. Want to stop a leak before it ever has a chance of causing any damage? Who wouldn’t? That’s why McAdams Plumbing recommends the installation of a WaterCop Automatic Water Shut-Off Valve in any home. 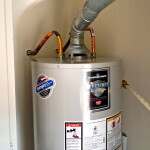 The WaterCop unit is installed on the main incoming waterline. Wireless water sensors are placed around your home and when they come in contact with water, they send a signal to the WaterCop. This signal tells the WaterCop unit to shut off all of the incoming water to the home. Now no more water can continue to leak into your home. Pretty cool right? 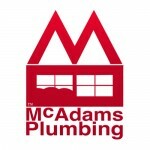 Thanks for taking the time to learn about McAdams Plumbing. We hope that you’ll trust our company with any of your plumbing needs. Call today! 303-465-1900.